The development cycle of Dallas is predictable: population boom, build more housing, extend the highways; population boom, build more houses, extend the highways; and repeat ad nauseum. Because there are no physical limits containing Dallas-Fort Worth, unlike cities bounded by mountains or water, we’re free to grow as far as we’re willing to lay the highways. As the edges of the city creep farther from the core, the dependence upon a personal vehicle significantly increases. Moving throughout the city is something a lot of us take for granted — when we’re not stuck in traffic, that is. Getting from Point A to Point B, across the city to Point C, followed by a quick stop at Point D before heading back to Point A is a daily routine that is regularly accomplished with a car. But many Dallasites can’t afford the luxury of their own vehicle for their daily mobility needs. Some rely on the DART buses and trains. Others take a more athletic mode by skateboarding or riding a bike. Dallas Area Rapid Transit (DART) is the preeminent transit authority in the area, and its mission statement is to “build, establish, and operate a safe, efficient, and effective transportation system that within the DART service area provides mobility, improves the quality of life, and stimulates economic development.” It is no secret that Dallas remains lacking in equitable access to transportation and mobility options despite these lofty goals. What’s Missing from the Local Transit Equation? While DART strives to provide safe, efficient, and effective transportation for residents and member communities, a large portion of the area lives in a transportation desert. A recent mobility study completed by DART in partnership with the University of Texas at Arlington found that 29 percent of those living in Dallas and 44 percent of people residing in the DART service area are not within walking distance to a transit station. Residents most left out are those in low-income neighborhoods. They spend a higher percentage of their income on transportation than others and also end up spending significantly more time moving throughout the city than people with their own vehicle. The ideal trip time for those using public transportation is twice as long as the same trip by car. However, in most low-income neighborhoods, trips by public transit can take up to four times as long as those by car. Houston retooled its bus network to provide more effective, efficient routes a few years ago. Dallas should follow this initiative. Certain routes have recently been reworked for increased efficiency, but a true commitment to bus service across the city needs to happen. DART is one of the largest landowners in the City of Dallas, yet there’s only one transit-oriented development, Mockingbird Station, outside of the downtown core. In southern Dallas, where transportation inequity is the highest, light-rail stations are surrounded by acres of empty parking lots. Simply put, in low socio-economic neighborhoods, DART still requires a car for easy access to light rail. Why is that? To better improve connectivity along light-rail lines, what about developing these vast swaths of underutilized land with attractive, affordable mixed-use and transit-oriented projects? While DART might have the longest length of light-rail service in the county and a large fleet of buses with routes crisscrossing North Texas, those rail and bus lines don’t serve all mobility needs. Michael McNair, president of ​BikeDFW, a nonprofit organization that works to promote the safe use of bicycles as an affordable, viable, and sustainable means of active transportation and personal enjoyment, is one of those people. He lives in Garland, and his office is near DFW International Airport. His preferred mode of transportation is his bike. What began out of necessity because he and his wife were down to one car has blossomed into a passion and a hobby. He currently has six or seven bikes in his garage, and three of those can tackle the 26-mile commute to the office. That’s right, Michael essentially rides the equivalent of the biking leg of a triathlon to work and then home each day, regardless of weather. He has been commuting by bike to work for over 10 years. First by skateboard and DART, then by bike when his commute changed to Allen and there wasn’t a direct bus route. With an approach similar to a seasoned athlete’s, he didn’t attempt to ride from one edge of the city to the other on the first morning. He rode to a bus stop and took the bus to his office. He pushed himself each week to ride to the next farthest stop from his house before he abandoned the bus altogether and biked from house to office. When his job moved to Irving, he continued riding his bike to work from edge to edge. His mornings start with an alarm at 5 a.m., and he’s pedaling toward Irving by 6 to be at his desk by 8. The 26-mile ride takes roughly an hour and 45 minutes from door to door. He freshens up in the office restroom and changes clothes before settling in behind his desk. Once the clock strikes 5 p.m., he changes back into his bike gear and joins the throngs making their way home for the night. The route mostly takes him down neighborhood streets or along bike trails such as the Northaven Trail through Preston Hollow. He’s learned which major thoroughfares are best. For him, Royal Lane is more enjoyable than Walnut Hill Lane; Plano Road is stressful, and Jupiter Road is much less so. Visibility is an important for bicyclists everywhere. One thing Dallas has going for itself in creating a bike-friendly city, Michael said, is the basic grid layout of the city streets. The straight north-south and west-east streets provide drivers with plenty of forewarning to see a bicyclist ahead, while the swoopy streets of the suburbs are much more dangerous. As a commuter, Michael is interacting with the same drivers each day, and they’ve grown accustomed to seeing him on the road. Surprisingly, he receives the most respect and courtesy from 18-wheeler drivers along the route and parcel delivery drivers near his office. DART simply isn’t the best option for him. There’s not much of a cross-town DART bus service from Garland to Irving, and if he were to rely solely on DART, the commute would be just as long, if not longer, than riding his bike. There are mornings when he knows he can’t do the whole distance on the bike, but the bike affords him a level of flexibility and freedom that commuting with a car would not. If the mood strikes him, he can catch the bus or light rail at almost any point along his route, allowing him a chance to read or even catch a few winks of sleep in the early morning. He enjoys the mornings and evenings on his bike, calling the commute a “great way to frame the day.” He regularly stops at neighborhood grocery stores or coffee shops, and more than once has met others who were commuting next to him in their cars. Is It Possible to Go Car-free? The importance of multi-modal transportation in creating vibrant communities and an equitable city is not lost on architects in Dallas. The AIA Dallas Communities by Design committee often discusses the benefits that a robust multi-modal transportation network would have for our city. We dream of a high-frequency bus network that connects to transit-oriented developments dotted around the almost 100 miles of light-rail track in Dallas. We challenge the shortcomings of the current public transportation network in the city and the status quo of the federal, state, and local transportation authorities. In an effort to take our conversations beyond the conference table of our monthly meetings, the members of AIA Dallas were challenged to leave their cars at home and try other options for a day. For me, a native Dallasite, DART has been a novelty: a special treat for elementary school field trips as a child or using light-rail to get downtown when I don’t want to deal with traffic or parking. But never have I left my car at home and used DART for my sole means of transport. My #DitchYourCarDFW day started with the #60 bus from my neighborhood near White Rock Lake to a transfer at Casa Linda Plaza to take the #475 bus to my office. As I was getting ready in the morning, anxiety set in that I’d miss the bus, so I hurried out the door only to wait at the stop for much longer than necessary. Getting on was a breeze with the DART GoPass app, and I found a seat near the front. When the time came to request the stop, I got anxious again. Would I press the bar in the right spot? Would I be too early or too late? Thankfully, someone else got off at the same place and my anxiety was for naught. Waiting for the #475 bus on the side of Buckner Boulevard was unpleasant. Instead of sitting, I used the cold concrete bench as a barrier between me and traffic on the chance that a car would jump the curb. Surely that’d be enough to protect me, right? 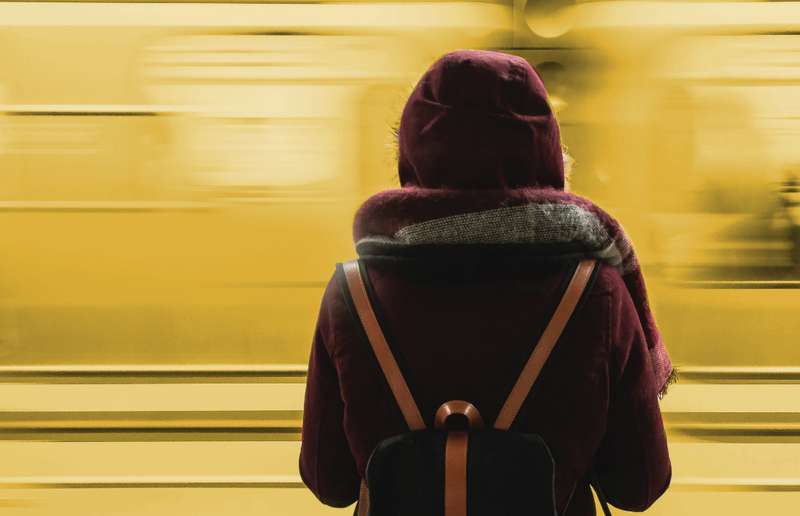 As cars sped past me, I felt vulnerable and exposed, and I could feel people looking at me thinking to themselves: “Why is he taking the bus? He must be down on his luck.” I’m sure those were their thoughts because I’ve thought the same thing when driving past someone waiting for a bus. The bus arrived right when the GoPass app “Where’s My Bus” feature said it would, and I didn’t have to protect myself from any runaway cars. I sat next to the woman who had gotten off with me 20 minutes earlier and asked why she went to a different stop than I did. She doesn’t like crossing the seven lanes of Garland Road and instead waits at the stop just down the road. A seasoned bus rider, indeed. I arrived at my desk just before 7:45 a.m. after leaving my house just before 7. Forty-five minutes to work, when driving my car would get me to the office in 12. Not bad, but not great. Lunchtime rolled around and because it was a nice day, I got quesadillas to go from the nearby bodega and walked down to the lake. Normally, I’d get in my car and drive somewhere and hurry back to the office. As the end of the workday approached, I felt the anxiety and urgency that had washed over me that morning. Would I wrap up my work in time and catch my bus? Was the “Where’s My Bus” feature accurate? Nervous, I finished my work and rushed to the bus stop early. My plan was to take the #475 bus to the Lake Highlands Station, then catch the Blue Line light-rail downtown for our committee meet-up and happy hour. The bus came and made only a handful of stops on the way to the station. Arrival couldn’t have been more perfect. As I approached the platform, the Blue Line train arrived, and I was on my way downtown. A short walk from the St. Paul Station through downtown got me to AD EX, the new home of AIA Dallas at Republic Center, with time to spare before the Communities by Design meet-up, followed by happy hour across the street. All told, participants left their cars at home that day and shared stories of success or failure. The short-term goal is to make this an annual event for AIA Dallas. The long-term goal is to get more people to leave their cars at home. Yes, this is a complex topic with many interconnected pieces. For change to occur, the best thing to do is to contact your City Council member and your DART board member. Be an advocate for high-frequency and efficient bus service, for an additional light-rail line through downtown, for a more dignified bus stop experience. However, this advocacy is not limited to people residing within Dallas’ city limits. The biggest benefit would be for those who live in other DART member cities. Because it’s impossible to shrink the edges of our sprawling metroplex, the best solution is to provide more convenient options for people to move between those edges. You can make a difference by advocating for smart, equitable transportation policy. Practice what you preach by leaving your car at home and commute by public transportation, and design your own projects with mobility in mind. 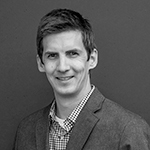 Nick Thorn, AIA, is a project architect with Malone Maxwell Borson Architects and is co-chair of the AIA Dallas Communities by Design Committee.